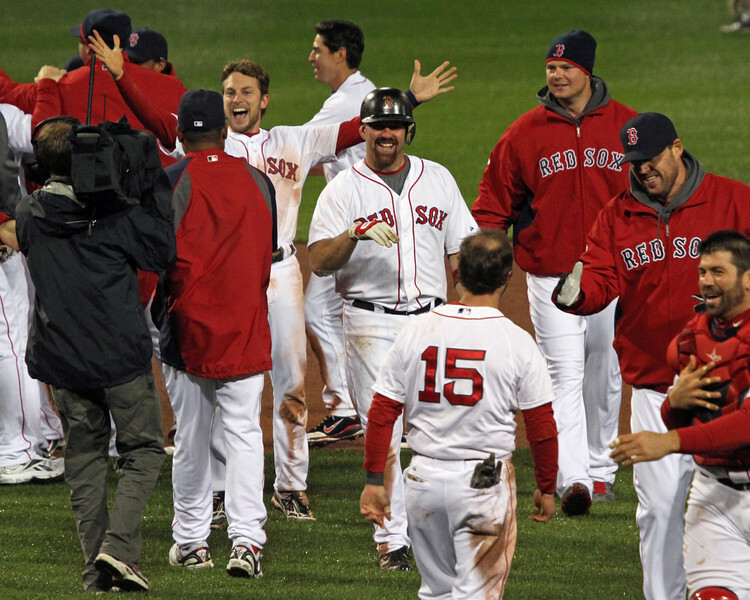 I’m trying very hard to not harbor ill will toward the Red Sox but it’s difficult. While many are happy just pointing the finger at Larry Lucchino for the Globe article that opened up all the wounds that were scabbing over, if Hohler is to be believed there were many people in all different areas of the organization who were happy to spill the beans on the team. The optimistic part of me says it will all make a great book after the Red Sox win the World Series in 2012 but the baseball pessimist worries it won’t work out that easily. 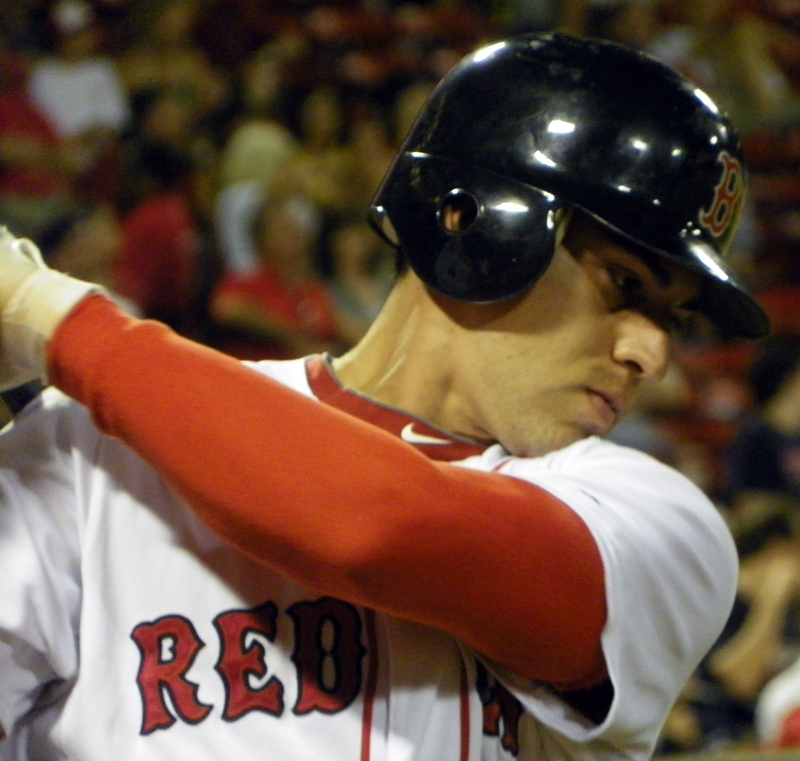 Over at Examiner.com, I wrote about Jacoby Ellsbury winning the “Comeback Player of the Year” award. It’s well-deserved and something to be celebrated but it feels almost empty to congratulate him. Because it feels like we shouldn’t be celebrating anything. And I don’t need to tell you all that feeling this way is lousy. No one is giving us a chance to feel better. The team has no manager, barring something truly bizarre happening, the GM is out the door. The owners haven’t issued any statements on the shambles that is the team…and every time we turn around someone is linking to an article about how dysfunctional and doomed the team we root for has become. This is not fun. I feel a bit lost not only in my allegiance to the team but in my blogging. It seems most if not all of my fellow bloggers have decided to use this turmoil to their advantage and write entry after entry about how evil Larry Lucchino is or how horribly John Lackey has affected this team. I suppose it’s bad for traffic, but I have no desire to keep rehashing how awful things are. I want to write about what the team is doing to move forward from all of this and I’m getting no help from the team here. Step it the hell up, fellas. So I’m not avoiding blogging because I’m so devastated about what has happened with the team. If it feels like I’m avoiding the blog (which I’m really trying not to) it’s because I don’t want to pile on. I think we’ve all had enough. First off, I just have to say that while I get it’s easier to edit a game that began at 1pm than it is to edit a game that began at 7:10pm and went on for almost four hours, I still found it ridiculous that NESN chose the game that the Red Sox lost yesterday to re-air last night. Plenty of us are crazy enough to stay up to watch (or re-watch) a win…when you have the choice, why show the loss? Luckily, I actually did get to see the second game yesterday and not the first so it all worked out well for me. One of Madison's favorite Jacoby shots courtesy of Kelly O'Connor and used with permission. Earlier this week, when Jacoby Ellsbury hit a game-winning home run that marked his second consecutive game-winning hit, my 10- year-old niece (after jumping up and down and yelling “The Red Sox win because Jacoby is AWESOME!” about a hundred times) began a monologue directed toward her mother about exactly WHY “Jacoby is awesome”. Jacoby on Thursday in Fort Myers courtesy of Kelly O'Connor and used with permission. Tom Brady is a very good quarterback. Can we all agree on this? I mean, if you’re a football fan you know this and if you aren’t you can Google his stats quickly enough and decide that, yes, he’s good at what he does. It is also fairly obvious that, like him or hate him, he’s an attractive man. He just is. And because of these two things, because he’s attractive and because he is good at his job, both men and women seem to be fond of him. Not all men and women, but a good lot of them. We can all agree on this, yes? I have never, in the entire time Tom Brady has been with the New England Patriots, read where people assumed the only fans who like him are women or people who don’t know anything about football but just latch on to the most popular player. Never. As a matter of fact, I have actually read criticism of people who claim to not like him because of the lifestyle he leads. Articles and blog entries abound at how we shouldn’t let Brady’s off the field persona cloud our judgment of him as a football player because of how good a player he is. There are also the ridiculous amount of articles and blog entries dedicated to his looks (almost always about his hair) as if we should genuinely care about how Tom Brady looks. So I ask this: If it is understood that Tom Brady is a handsome man who does his job well…not only understood but his looks are often mentioned as another reason Mr. Brady is so great…if this is acceptable by the sports media both mainstream and in the blogosphere, then why do so many people have a problem with the fact that Jacoby Ellsbury happens to be a fine looking man? This could be the biggest news for Pink Hats since the invention of the pink hat. First I need to say that if they ever track down the creator of the phrase “pink hat fan”, I will find the person responsible for it and spit right in his or her eye. Secondly, Peter Abraham, though extremely thin-skinned when it comes to anyone daring to criticize him, is a good writer. That he reverts to using a term most likely coined by some rabid WEEI listener is just sad. He can do better. Anytime I read someone using that phrase and it isn’t surrounded by a criticism of it, I get a good idea of exactly what that person must think of women fans. When I read a woman fan using it, I just hang my head. No matter how many people defend it as being all-encompassing of fair weather fans who know little about the game, that is bull to me. The only fans you see at the park, for the most part, wearing pink hats are women. They don’t call them “alternate color wearing fans” and you never read insults about fans who show up at the games in camo caps or other non-team colored apparel. This is about women, plain and simple. 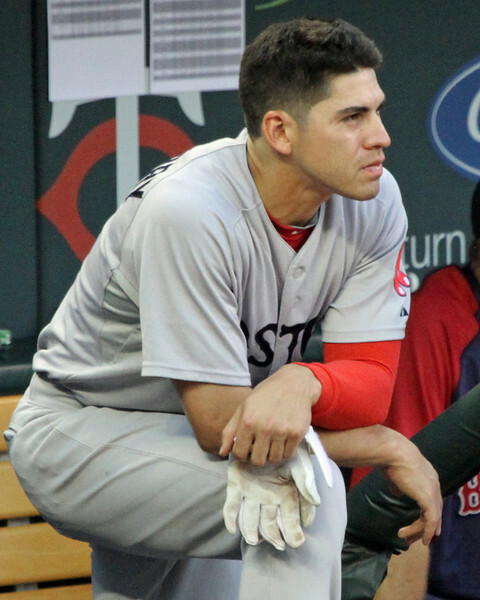 I rarely say this because it’s rarely true, but I’m convinced the vitriol thrown at the fans of Jacoby Ellsbury is based on pure jealousy. I have no doubt that even if Jacoby hit .100 all season, never stole a base and committed error after error in the field, that he would have a large following of fans because, yes, the man is fine. But, as I’ve stated about a million times since this blog began, finding someone attractive doesn’t equal being a bad fan. It’s about time some men realized that. 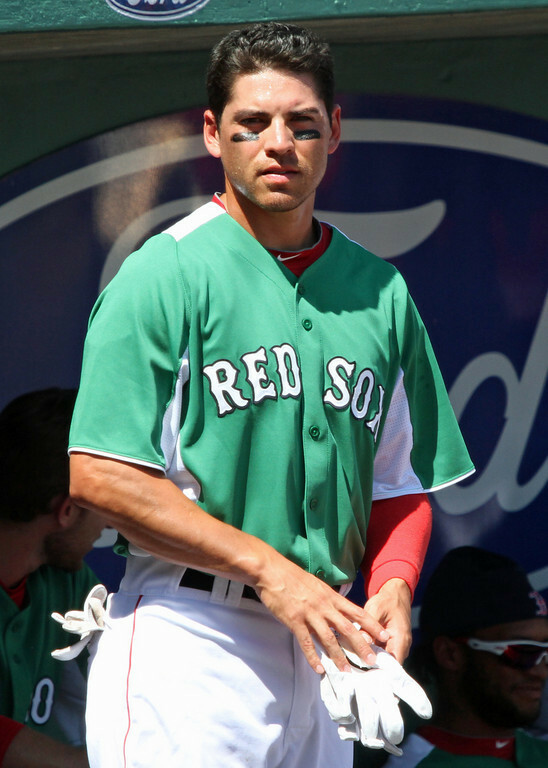 It is perfectly acceptable to find a player attractive. Men find the likes of Heidi Watney and Erin Andrews attractive and talk and write about it incessantly. I’m sorry that, unless you’re a gay man, as a man you have no one to appreciate visually when you’re watching baseball and instead have to obsess on sideline reporters. I’m not sorry that, as a heterosexual woman, I have plenty to visually appreciate. But appreciating that Jacoby Ellsbury is most likely the best looking player in MLB today doesn’t take away from other parts of being a fan and I’d sick of people like Peter Abraham perpetuating that stereotype for a joke. If a man tells me he’s a baseball fan, I don’t immediately start peppering him with questions so he can prove it to me. 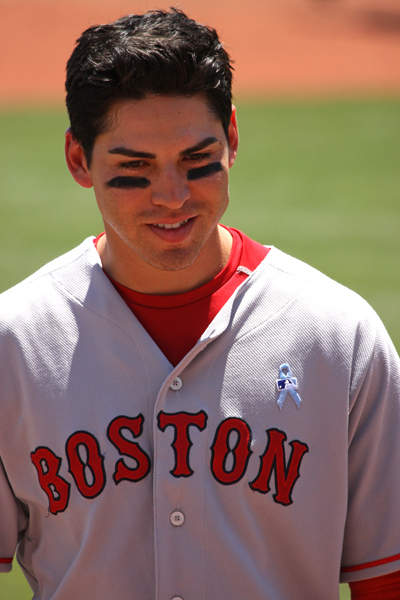 Yet I’ve lost count of how many men, upon finding out I blog about the Red Sox, say something along the lines of “I bet Jacoby Ellsbury is your favorite player” with the implication being that he couldn’t be my favorite player because he plays well, that, if he is, it has to be because he’s handsome. It’s unfair to me, it’s unfair to all women and it’s unfair to Jacoby. But back to Peter Abraham. After blogging about Jacoby’s Twitter account, he took to Twitter to complain that a fan commented that he was bashing Twitter with that blurb. His response to that was a sarcastic “But I’m on Twitter” so I responded to him that the idea he was bashing Twitter was ridiculous when it was obvious he was bashing women fans of Jacoby’s. Predictably, he never responded to me. This blog has a decent following of both men and women. Our live chats are fun and full of not only references to baseball but many other topics. Folks are almost always respectful of one another…which is nice…and if they aren’t it quickly gets settled. Aside from the period of time when I was on WEEI.com, it’s almost a baseball Utopia here because the women fans who visit know they won’t be dealing with men who have no respect for them as fans and the men know they’ll get some fun and intelligent baseball talk. A very small part of this is due to my moderating the more offensive comments. The larger reason for it is because, thankfully, this blog seems to attract people, both men and women, with a deep passion for the game and an appreciation for their fellow fans. This pleases me more and more each day. So what is the point of all my rambling this fine Saturday morning? I’m not sure. Maybe just to get this all off of my chest. The season will quickly be upon us and I’m excited for that. I’m not excited to reading about “Pink Hats” from the likes of Peter Abraham and because of that I feel it important to set the mood for the season. I’m not suffering fools or insults thrown the way of women fans lightly this year. You’ve all been warned. It’s important to point out that Peter Abraham is certainly not the only mainstream sports writer to use the term (or to insult fans of Jacoby’s)…but he’s the latest and, in my mind, one of the more respected writers which is why I found it so bothersome – even if only in a “lowly” blog entry. Have some respect but more importantly here, be professional. Is that so difficult? 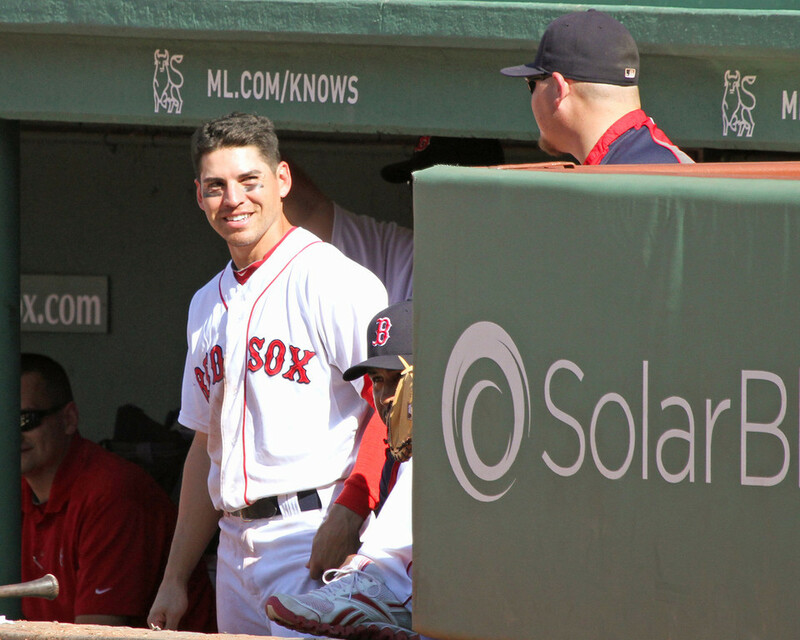 Also, for the record, head to Fenway Park on any given day and you will see many, many Jacoby Ellsbury t-shirts and jerseys being worn. I’d be lying if I said the majority of them weren’t on women or children but I’d also be lying if I said that there were no men wearing them. 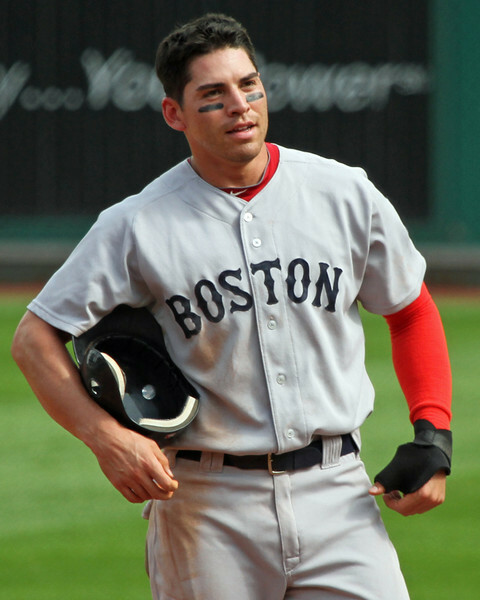 With each year he’s on the team, Ellsbury jerseys and shirts show up on more and more men. He’s a good player, people like him and he’s a handsome guy. He, nor his fans, should be embarrassed of any of these things.